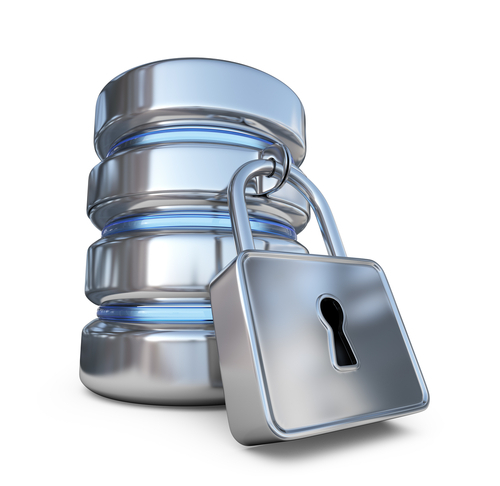 This blog post will look how to use encryption to secure your database credentials. In the recent blog post Use MySQL Shell Securely from Bash, there are some good examples of how you might avoid using a ~/.my.cnf – but you still need to put that password down on disk in the script. MySQL 5.6.6 and later introduced the –login-path option, which is a handy way to store per-connection entries and keep the credentials in an encrypted format. This is a great improvement, but as shown in Get MySQL Passwords in Plain Text from .mylogin.cnf, it is pretty easy to get that information back out. If you want to keep prying eyes away from your super secret database credentials, then you really need to encrypt it. Nowadays most people are familiar with GPG (GNU Privacy Guard), but for those of you that aren’t it is a free implementation of the OpenPGP standard that allows you to encrypt and sign your data and communication. Before we can go on to use GPG to encrypt our credentials, we need to get it working. GnuPG comes with almost every *nix operating system, but for this post we’ll be using Ubuntu 16.04 LTS and we’ll presume that it isn’t yet installed. $ gpg --gen-key gpg (GnuPG) 1.4.12; Copyright (C) 2012 Free Software Foundation, Inc. This is free software: you are free to change and redistribute it. There is NO WARRANTY, to the extent permitted by law. Please select what kind of key you want: (1) RSA and RSA (default) (2) DSA and Elgamal (3) DSA (sign only) (4) RSA (sign only) Your selection? 1 RSA keys may be between 1024 and 4096 bits long. What keysize do you want? (4096) Requested keysize is 4096 bits Please specify how long the key should be valid. 0 = key does not expire <n> = key expires in n days <n>w = key expires in n weeks <n>m = key expires in n months <n>y = key expires in n years Key is valid for? (5y) Key expires at Tue 05 Oct 2021 23:59:00 BST Is this correct? (y/N) y You need a user ID to identify your key; the software constructs the user ID from the Real Name, Comment and Email Address in this form: "Heinrich Heine (Der Dichter) <heinrichh@duesseldorf.de>" Real name: Ceri Williams Email address: notmyrealaddress@somedomain.com Comment: Encrypted credentials for MySQL You selected this USER-ID: "Ceri Williams (Encrypted credentials for MySQL) <notmyrealaddress@somedomain.com>" Change (N)ame, (C)omment, (E)mail or (O)kay/(Q)uit? O You need a Passphrase to protect your secret key. "Ceri Williams (Encrypted credentials for MySQL) <notmyrealaddress@somedomain.com>"
We’ll now create our “gpg.conf” in which to keep a few settings. This sets the key that is used by default when encrypting, enables the gpg-agent and removes the copyright message. Now we’ll add a few settings for “gpg-agent” and allow the key to be saved for one day to reduce the number of times you need to enter a password. Also, as this post concentrates on command line programs, we’ve enabled the ncurses pinentry to specify the password when requested. You can find more information about setting up and using GPG in the GNU Privacy Handbook. Now that we have GPG working, we can secure our credentials and encrypt them to use later on. One of the default files MySQL reads is “~/.my.cnf”, which is where you can store your user credentials for easy command line access. prompt = "smysql d> "
There you go, everything is nice and secure! But wait, how can anything use this? Most MySQL and Percona tools will accept the “–defaults-file” argument, which tells the program where to look to find what configuration to run. This will allow us to use our encrypted config. There we go, MySQL access via an encrypted “–defaults-file” – and as long as your key is unlocked in the agent you do not need to enter the password. Enjoy some added security in your database environment, on your laptop and even on your Raspberry Pi! Ceri is a Senior Technical Operations Engineer at Percona. He has previously worked in a variety of industries ranging from telecoms to skin care and online travel, nearly always with a database by his side for more than 10 years. Living in the Welsh Marches area of the UK, Ceri enjoys the rural life and beautiful countryside whenever possible. wow Ceri, great post! It’s a mini-manual of GPG besides how to secure the defaults file. Thank you! It seems that the only caveat would be to make sure that the home directories are adequately protected. Otherwise, anyone (i.e. root, power users or worse) with access to them could impersonate access to the database server once they have read-only access to the script – correct? Thanks Roel! Yes, you are correct, the usual precautions should be taken to secure access. This means keeping suitable file permissions, the use of access control lists, using a strong passphrase and 4096-bit encryption. If securing the system is outside of your control then you should either use a low max-cache-ttl, not use the agent at all (remove use-agent from gpg.conf), or not keep your key on the server (import before & delete after use, or use a separate trustdb and keyrings that can be removed from the server once done).